Also included: a 10¾" x 19½" full-color foldout Planning Map with a big overview of the city and its sights (and a closeup of the Westminster neighborhood that outlines our self-guided Westminster Walk), a zoomed-out look at London's main neighborhoods, as well as schematics showing Tube lines, major bus routes, and train stations — plus floor maps of Westminster Abbey, St. Paul's Cathedral, and the Tower of London. Should I get this London book in addition to either Rick's complete England guidebook, his Best of England book, or his Great Britain book? Probably not. If you're only spending a few days in London, as part of a longer trip in Britain, one of the larger guidebooks for the whole country is all you're likely to need. What's the difference between this London guidebook and Rick's Pocket London guide? 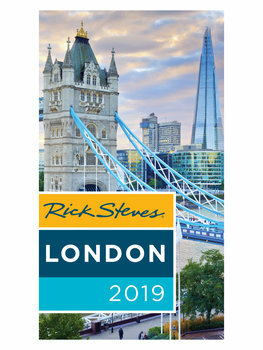 Rick Steves Pocket London works best for people taking a short trip, or perhaps a return trip, to London. Like our other Pocket guides, Pocket London is smaller than the complete guidebook and in full color (but still offers our best sightseeing advice and a handful of self-guided city walks and museum tours, plus a foldout map). For travelers who want to delve deep into London, the full-size guidebook is a better option. It offers more substantial (and more frequently updated) advice on every front: practicalities, sightseeing, self-guided tours, hotels, restaurants, entertainment, shopping, kids' activities, and the city's history and culture, plus chapters on the best day trips.